Author Max Rashbrooke will speak about the new book in which a number of contributors investigate the increasing inequalities in New Zealand, the alternatives and the implications of both for our communities. Fast growing inequality is one of the most important issues confronting New Zealand today. 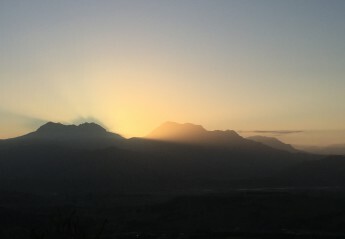 Once known as an egalitarian society, New Zealand has seen inequality increasing more rapidly than almost anywhere else in the developed world. In Gisborne, income gaps have widened sharply in the last 30 years. Analysis of Census data from 1986 and 2006 shows that income inequality in Gisborne has increased by nearly a third. This data shows that income growth is going more to the top than the lower end. 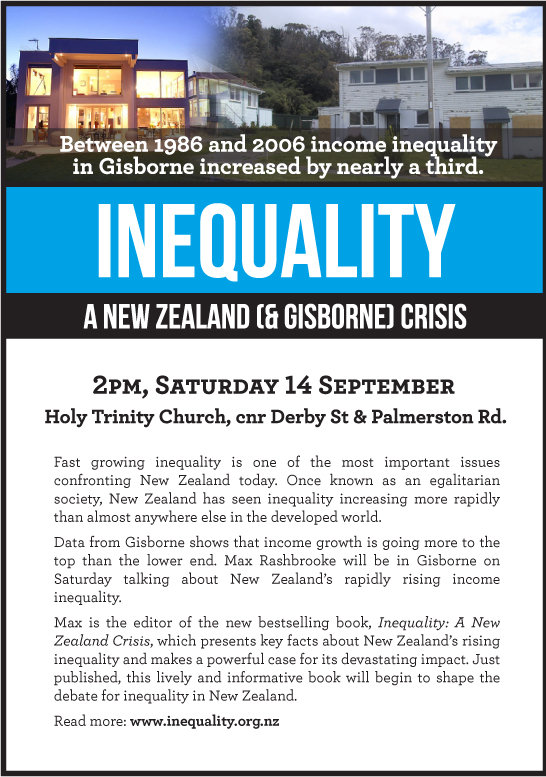 Max Rashbrooke will be in Gisborne on Saturday 14 September, 2pm, at the Holy Trinity Church, corner of Derby Street and Palmerston Road, talking about New Zealand’s rapidly rising income inequality. Max is the editor of the new bestselling book, Inequality: A New Zealand Crisis, which presents key facts about New Zealand’s rising inequality and makes a powerful case for its devastating impact. Just published, this lively and informative book will begin to shape the debate for inequality in New Zealand. Max Rashbrooke is a Wellington journalist and author. He has written for national newspapers and magazines in New Zealand and the UK, including the Guardian, the Herald, the National Business Review, and the Listener. He was also the 2011 recipient of the Bruce Jesson Award.